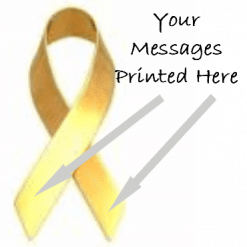 Charity awareness ribbons, printed on the tails with your own messages of support or remembrance. 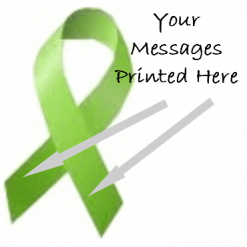 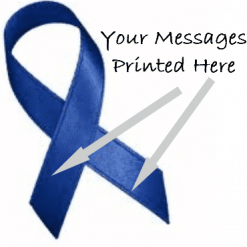 Discounted the more charity ribbons you purchase, our awareness ribbons will arrive ready to wear, pinned into position showing your personal printed message. 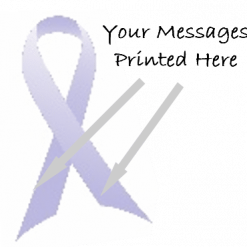 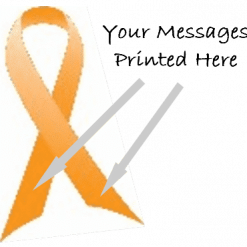 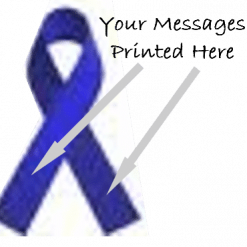 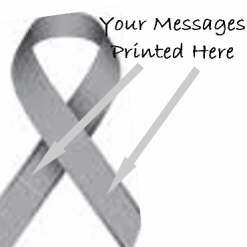 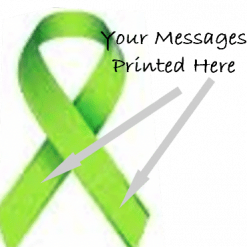 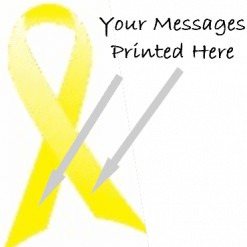 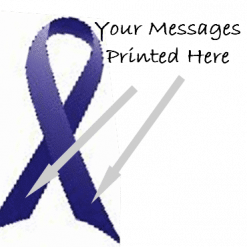 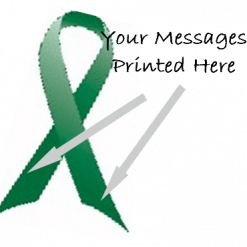 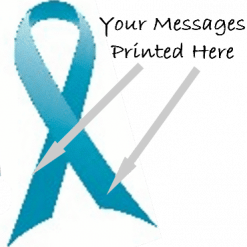 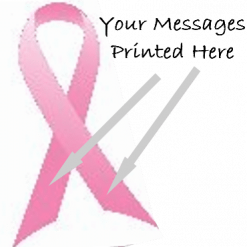 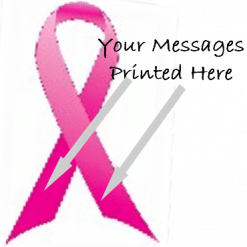 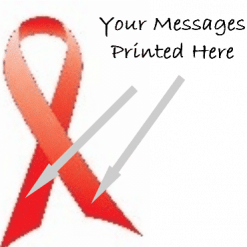 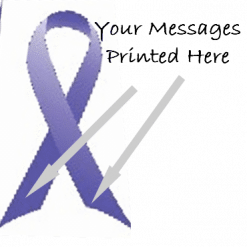 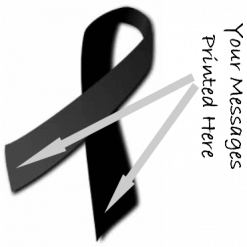 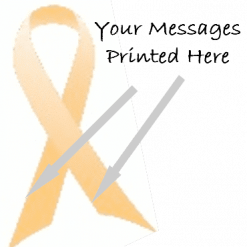 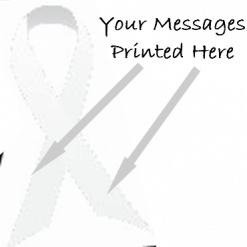 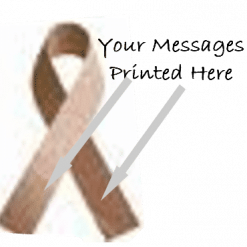 Basic logos can also be included on your awareness charity ribbons. 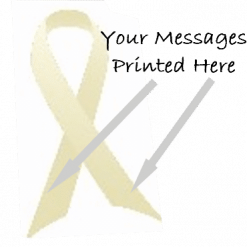 Increasing in popularity Charity ribbons are an ideal way to show someone you care, either about an individual, or a charity. 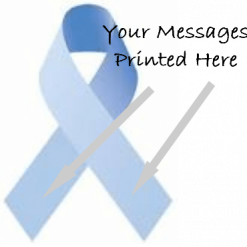 Each of our personalised charity ribbons arrives either with or without pins depending on your choice, printed with text of your choice on a colour ribbon of your choice, and of course in your choice of print colour. 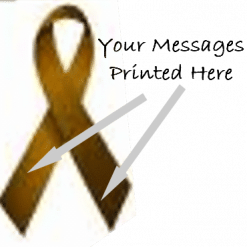 We've had customers use these in remembrance of a loved one, in support of a worthy cause and for sports days. 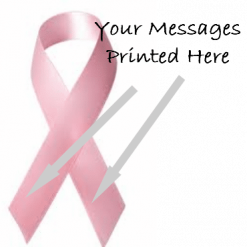 They get cheaper the more you order! 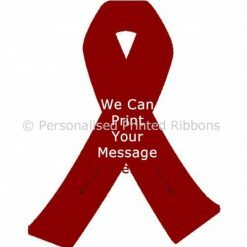 We can also supply plain colour awareness ribbons.